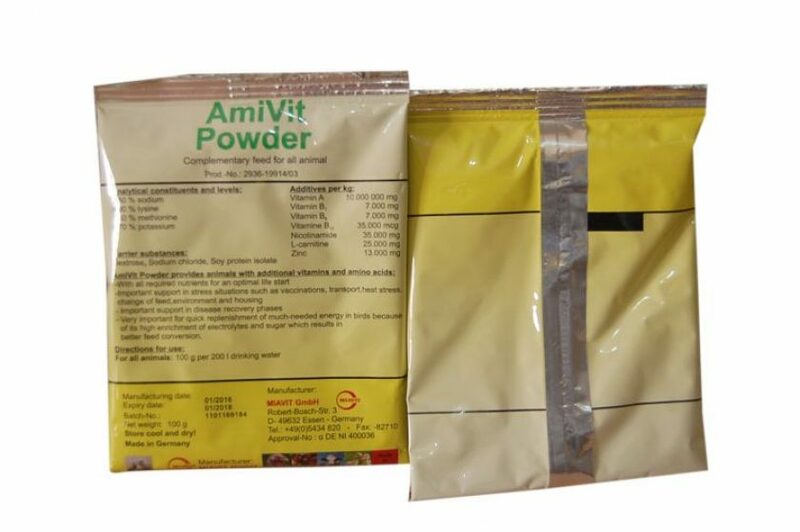 Amivit 100g is a powdery feed supplement for poultry which supplies birds with necessary vitamins and minerals needed for optimal production. An adequate supply of vitamins and minerals is key for good poultry nutrition, as it strengthens the bird’s defenses against harmful pathogens. An adequate supply of vitamins is also beneficial to birds in periods of stress. Nutritional deficiencies are also prevented when Amivit is given as a supplement to poultry.